My lessons with Tony were always really thorough and productive. Tony was a great instructor, who taught in a calm and positive manner, and helped build up my confidence for my test. I passed first time with only 2 minors and would recommend him to anyone who's looking to learn to drive. I like the fact that i wasn't rushed into doing my test this i felt beneficial to me as I knew myself when i was ready and as a result passed my test first time. 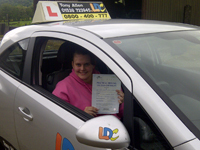 I have really enjoyed my lessons with Tony and using the LDC book has helped my learning throughout the driving course. 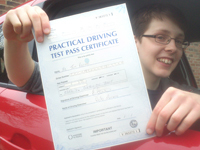 Passed my test first time with two minors and would highly reccomend this instructor to anyone looking to learn to drive. 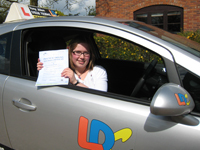 I have really enjoyed using LDC for my driving lessons. I found the book easy to understand, and my instructor, Tony, was really helpful. I am really pleased that I managed to pass my test first time with only one minor and I would highly recommend both LDC and Tony to anyone who wants to learn to drive quickly and easily. Tony has been extremely helpful throughout my driving experience, providing me with the essential support and resources needed to become a safe driver. I strongly recommend him for anybody who is looking for a reliable competant instructor. Tony was an excellent instructor,very calm and patient and made me feel fully prepared for my test! Thanks ! I've thoroughly enjoyed learning to drive with Tony. 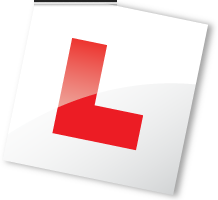 All lessons are relaxed and the LDC driving skills book is very helpful, especially for the first few lessons, it is useful to know what you will be doing in each lesson. The workbook is also handy to refer to leading up to the driving test. 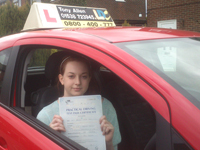 I would definitely recommend that anyone looking to start to learn to drive to consider Tony. I passed my test first time after 40 hrs of lessons.